It was a foggy day when I set out for Dartford yesterday morning, quite a cool beginning to the day, cool enough infact that the race top I selected was one of my heavier Ronhill long sleeved efforts. My dad drove us to the start as he would be entering the fun run later in the day and clearly with him he brought a cheery smile and the sunlight (it was therefore the wrong choice of top). 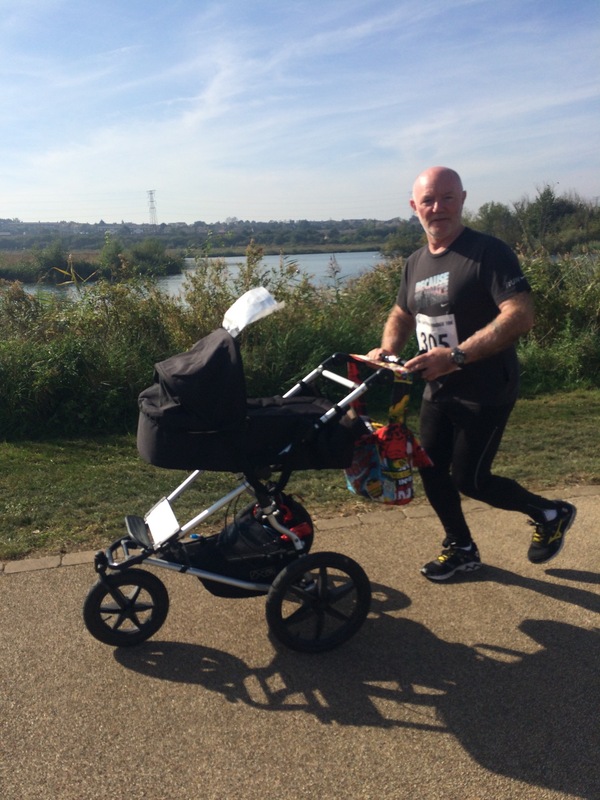 For those who follow this blog or those who stumble across it you’ll know that I ran this race last year and had nothing but good things to say about it. That opinion has not changed, here’s why. The location is the same, the course is new – roads that we previously needed to cross have been removed and the route itself felt a little bit tougher. It felt a slightly more exposed course but it was a bright and warm day and that made it feel really rather pleasant. Add to this that the two lap and winding nature meant that you could keep an eye on those behind you or infront and so you were well served for your overtaking manoeuvres. A bargain! 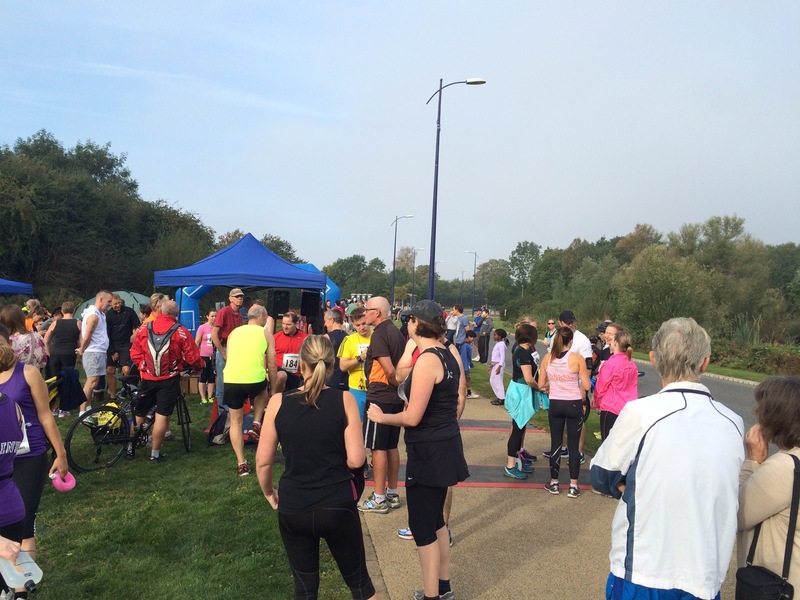 £16 on the day, cheaper in advance, decent facilities, great course, medal, the best volunteers lovely catering company and biscuits and pain au chocolate at the end. This was all topped though by some top notch organisation from the race director who says of the race ‘I just want people to enjoy themselves’. My belief is that you’ll need to go far and wide to find someone who didn’t enjoy themselves. 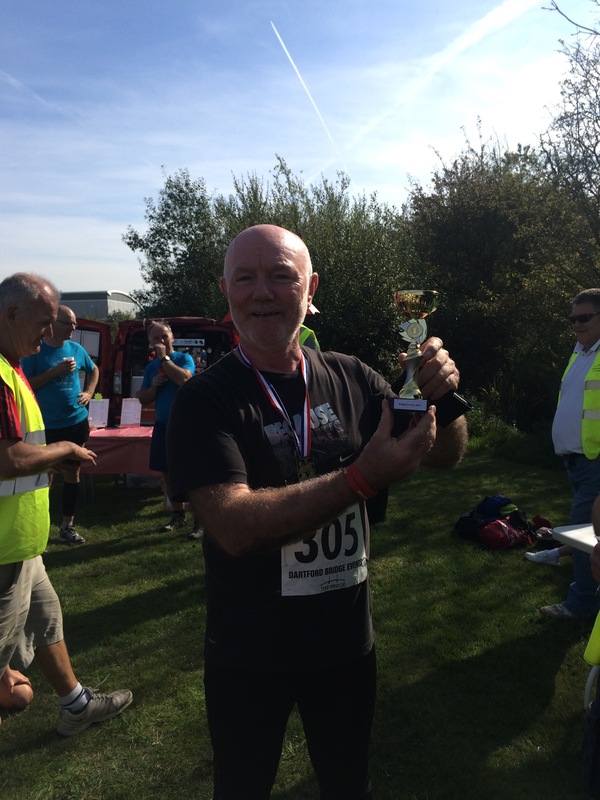 As for me I’m still in that comeback phase of things so I was glad of running in 54minutes and although the hamstring gave me crap all the way round I felt it was manageable, whether I’ll feel like that at the Winter100 is a very different matter. 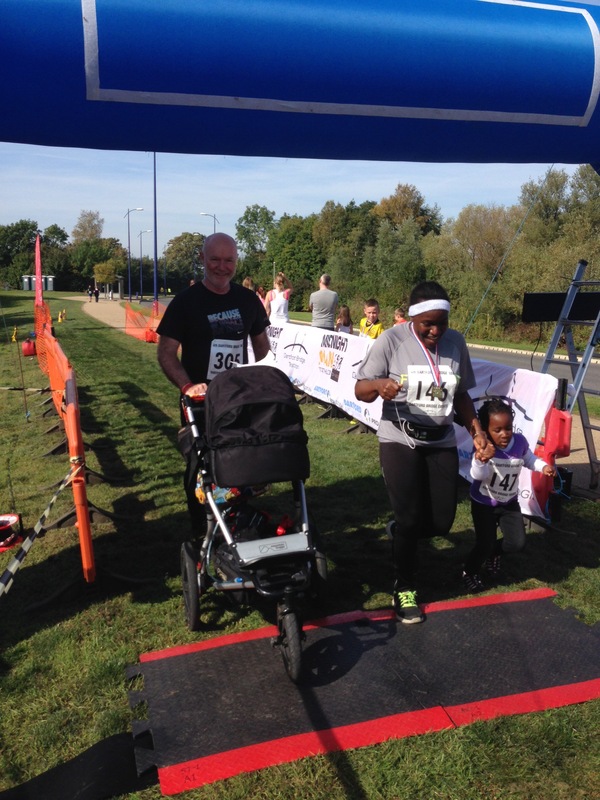 The race also had a fun run option … I’d suggested to Pops (my dad who was visiting) that he could run this with his son (UltraBoyRuns) and granddaughter (UltraBaby) – unexpectedly though we also had the GingerNinja join us so it became a real family affair. 1.8km or as my GPS read – 1.98km, easy. UltraBaby would be using the UltraMobile while the rest of us were powered by foot and we set off quickly but soon decided that it’d be better to peg ourselves back for the sprint finish. UltraBaby took in most of the details of the day and gave serious eyeball to the other competitors. We flew around the course, clearly unlikely to come first but having a grand old time with three generations of a racing family doing what they do best. 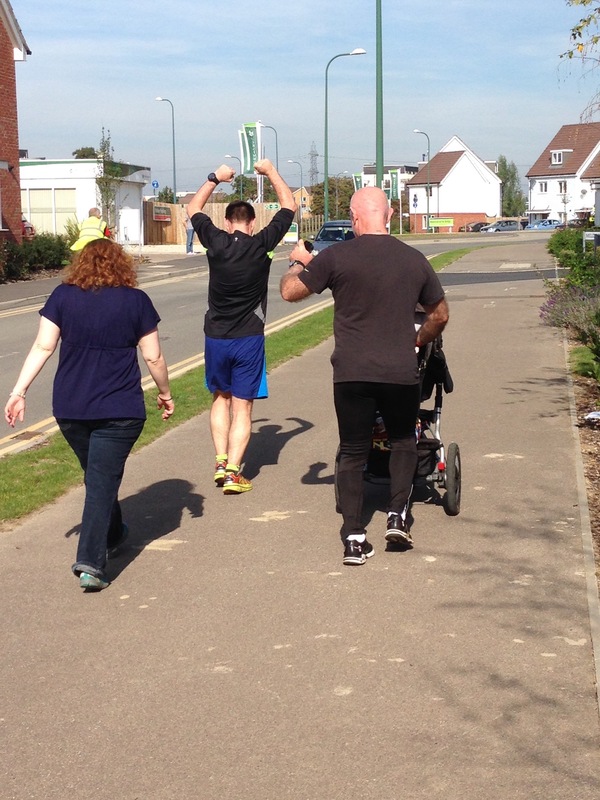 For the final 300metres I sent Pops on his way to ensure UltraBaby beat our nearest rivals and he thankfully pipped them on the line with a sprint finish and myself and the GingaNinja came home at the back of the pack but roared on by an awesome crowd. To finish our day we discovered that UltraBaby had been the fastet baby of the day and therefore not only claimed her first medal but also her first trophy. 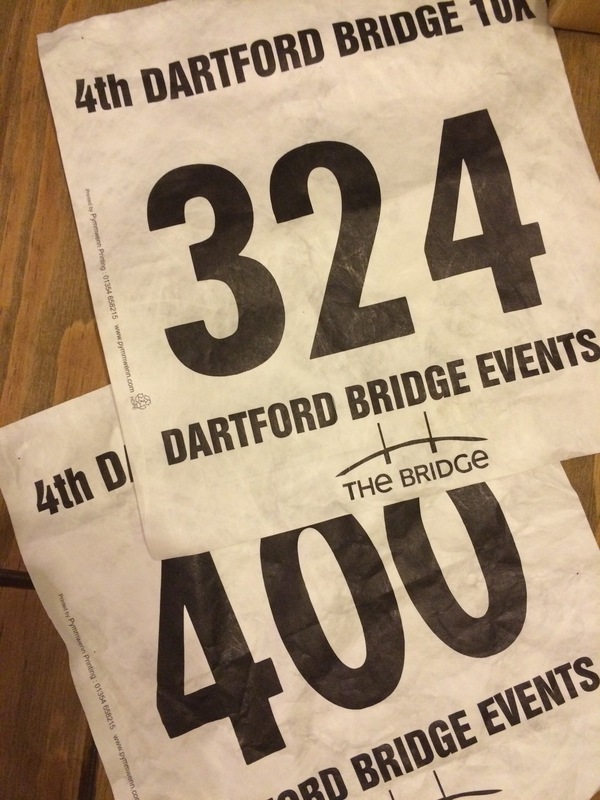 Thank you Dartford Bridge 10km – we will be back next year! And if you’re looking for a great PB 10km race course or just a great Raceday out in Kent then this it it! Love it! This is my favourite race report so far. Great post, makes me more upset that I missed the run. will make sure I’m there next year! what is the medal like? Well done all 3 of you! I’ve seen the Kent Roadrunner medal, really is nice! I’m no where near trained enough for a marathon though! How is it running laps for 26 miles? whats the next race you have planned? I’ve got a lapped marathon/ultra with six Hour time limit in 10 days in kent, then winter 100 a week later. The KRR is awesome, the lapped nature an be hard mentally but next year will be my third go – train for it and you’ll have a blast! I plan to focus on 5k/10k for a while, but will definitely consider KRR for when I eventually build up to marathon distance. Good luck with your ultra and winter 100, rather you than me! Ha! Love how there were 3 generations running!! 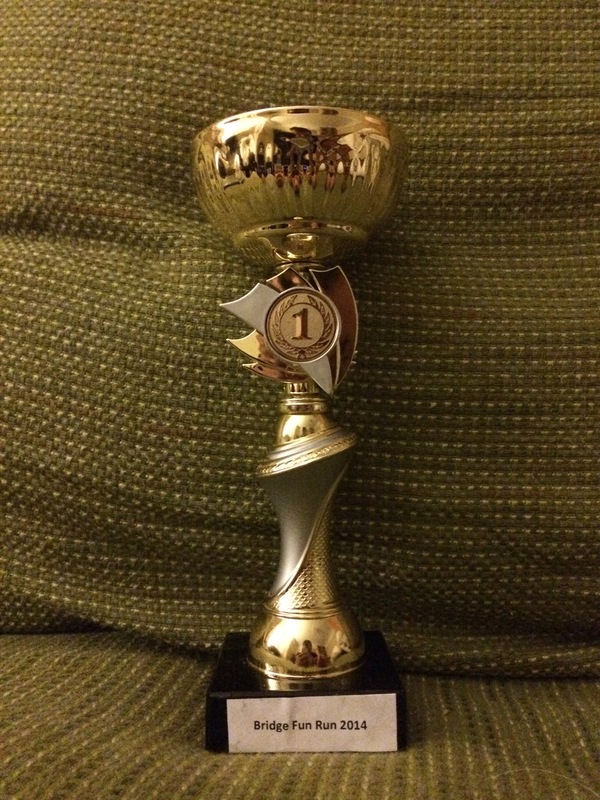 And congrats to UltraBaby for her first trophy!